You can sell your unwanted gold bracelets for instant cash. We purchase solely on the gold content, regardless of the condition. We welcome any scratched, broken, or damaged gold bracelets. 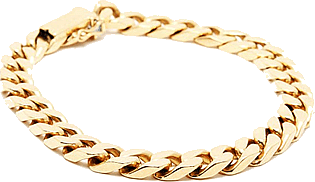 To turn your unwanted gold bracelet, or any other gold items you wish to turn into instant cash at great market rates, contact us now to make a booking.